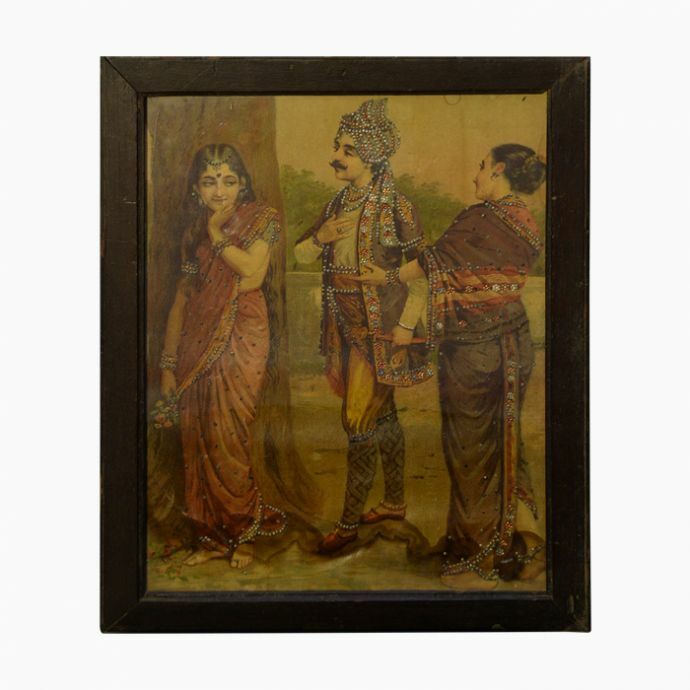 It was Raja Ravi Varma who first started painting Hindu deities in a suitable form with proportionate bodies, appropriate features and ornaments, in natural colours. The classic painting of Lakshmi, Goddess of wealth, painted in 1896, has been reproduced here as an embellished oleograph, created using fabric and zari. Ravi Varma maintained the description of the goddess given in the Holy Scriptures like the four hands- one of which is holding a lotus and another, a rose. 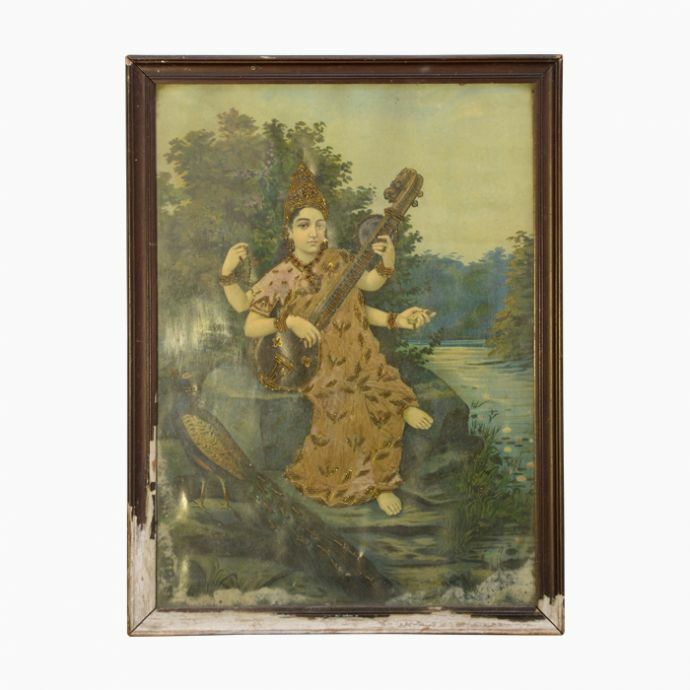 The image of Lakshmi is iconic in its visualization all over the world, and remains one of the most popular Raja Ravi Varma prints till today. 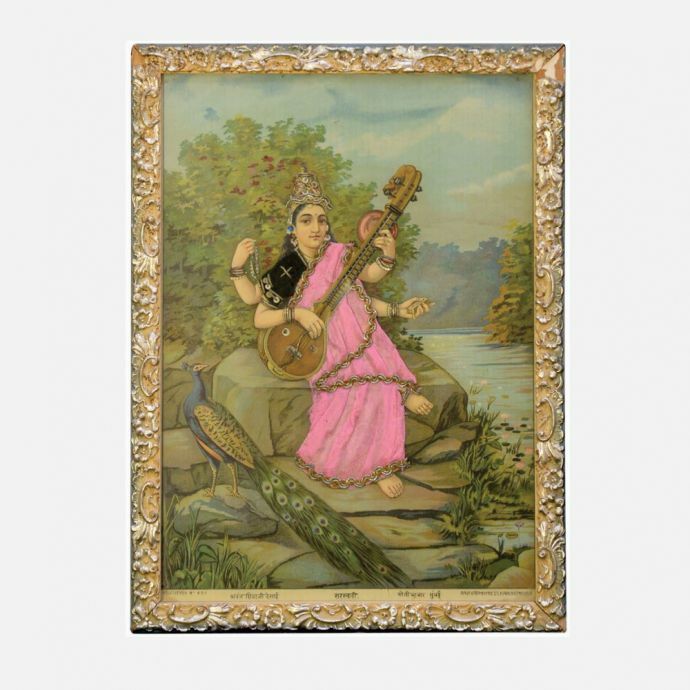 For patrons of Indian Art, the name Raja Ravi Varma has been familiar for more than a century. 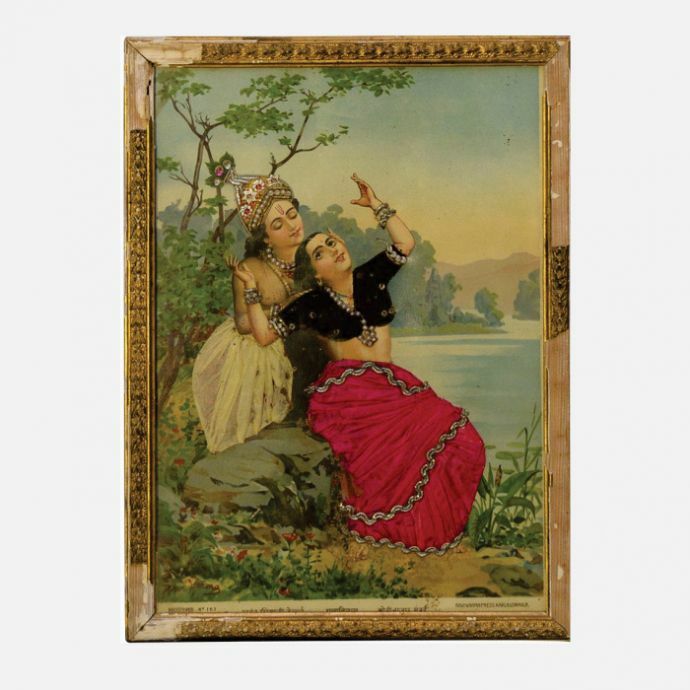 A depiction of the civilization of classical times, Ravi Varma’s style of painting played a foundational role in defining Indian imagery and left behind a brilliant legacy of academic realism.